And...I've finally finished reading Priests of Mars by Graham McNeill. As I promised, I'll be reading all three books of the Adeptus Mechanicus or Mars series by Graham McNeill in one go, and after finishing the first book I'm left wanting for more. So Baneblade by Guy Haley and The Emperor's Finest by Sandy Mitchell will have to wait, even though I'm so tempted to read them right away. But Priests of Mars finishes in a cliffhanger sort of ending that hooked me and I'm looking forward to devouring the other books of the series. Simply put, Priests of Mars starts out slow. Half the book is spent not on the Explorator's expedition but rather the preparation for it (I should learn from that, considering I only spent 2 or 3 chapters on all that preparation). We're given the vast scale of the Martian fleet and shipyards, the kidnapping of good Imperium civilians so that they're forcibly enslaved as bondsmen aboard the legendary Ark Mechanicus Speranza, all because the Mechanicus needs thousands of these guys to keep the ship running. Funnily enough they keep losing countless of these bondsmen during the journey and replace them with vat-grown servitors. Why not just begin with servitors from the start? Oh, because it's a plot point that introduces a very important character in the book. Oh well. I thought the Mechanicus was all about logic. Whatever. The story starts out excruciatingly slow, as I said, with half of the book spent on getting ready to break from orbit, and all the details that come with the characters aboard the ship. The Eldar appear as antagonists but they don't do much until the last part of the book. However, when the action comes, it hits hard, it hits fast and it just blows you away, typical of McNeill as I saw in Mechanicum. The fight aboard the space station of Valette station was intense, and putting the reader in the perspective of a mortal, a Cadian guardsman by the name of Blayne Hawkins, was a good move because he felt so much more human, more relatable and more mortal than the thundering Adeptus Astartes who were...well, not mere mortals. The boarding action at the end also proved to be a good fight scene, and again it was the perspective of Abrehem that gave the action life, his panic, fear and mortality giving the battle more meaning. Even the mighty Reculasiarch, Kul Gilad, was humbled by the Avatar of Khaine, his vaunted Terminator armor unable to deal it a mortal blow. But the duel, yes, it was awesome. However, the true strength of Graham McNeill, as always, lies in the characterization. Thankfully, there aren't so many characters that I couldn't follow, though a few of them just fell out of the waypoint in the end. The Princeps of the Warlord Titan Lupa Capitalina, Arlo Luth, faded into obscurity near the end after his hallucinations caused him and his Titan to go out of control. The description of the humans, particularly Hawkins and Abrehem Locke, were fantastic, and Hawkins really felt like a mere man striding behind the footsteps of giants when he followed the Astartes into battle despite being a Cadian - and we all know how awesome Cadians are. The Astartes were as aloof, "elite" and quietly confident to the point of arrogance as always (scoffing at the Skitarii's training), but I think that was the point. To contrast these elite superhuman soldiers against the ordinary soldiers of the Imperium, and it worked. Along the way is Roboute Surcouf, a rouge trader, whose desire for freedom and exploration is matched only by the Archmagos. Even the Adeptus Mechanicus, who are supposedly mechanical and robotic, are fleshed out pretty well. 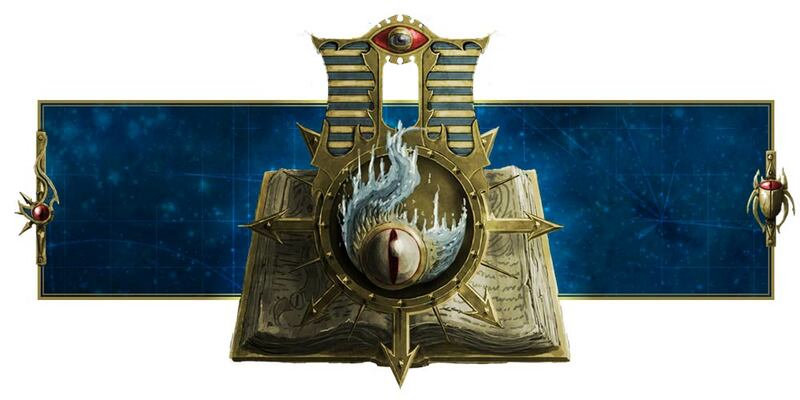 The supposed main character, Lexell Kotov, the Archmagos Explorator of the fleet, is defined by ambition or determination - determination to seek out the lost fleet of Magos Telok. The Fabricatus Locum, Tarkis Blaylock, is scheming, but for the most part cooperative (and I hope he remains that way for the rest of the trilogy though his actions at the very, very end destroyed that hope), his wish to claim Kotov's Martian holdings and forges for himself pretty evident by his estasblishment of connections. A pity, because I like his character and his dialogue with Roboute and clusmy attempts to learn the ways of non-augmented humans. The father-daughter pair of Vitali and Linya Tychon are defned by their curiosity and genius as Linya basically surpasses the Magos of the fleet in calculating waypoints and establishing maps. Magos Azuramagelli, by his lack of inhibitions and beign the closest to another angatonist, the enigmatic and heretical Galatea, who they arrested aboard the Valette station. Secutor Hirimau Dahan, defined by his arrogance and confidence in his calculations, computational ability in combat, only to be humbled in a duel with the Space Marine Initiate Yael. Hell, even the Speranza has a spirit and personality of its own, being more of a living entity than a mere ship. The vastness of its character is just beyond belief. The bondsmen under them are more human, and as I said, despite being able to readily produce servitors to replace dead bondsmen, the Mechanicus chose to abduct a huge number of them from Joura, a forge world. Huh. Well, the point of this is to introduce Abrehem Locke, a character who will eventually become extremely important toward the end, and I suspect in the other 2 books of the series. From a menial bondsman he becomes revered as Machine-Touched either by luck or his connection with the machine spirits. Sad to say I didn't get to see the Cadians fight the Eldar, though they put on a good account of themselves inside Valette station. I would like to see more of them fighting. Oh well. Too bad. Maybe they'll fight more in the other 2 books, and I look forward to that. Now I'll see how quickly I can finish the other two books before moving on to Yarrick: The Pyres of Armaggedon, The Emperor's Finest and Baneblade. Honor Imperialis will be last since it's a freaking omnibus, but given that I've already read and reviewed Dead Men Walking, I'll just read the two main novels and short stories compiled in it.